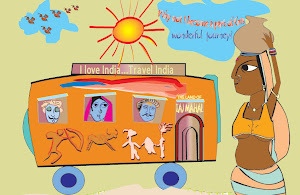 In India, ‘Art of Painting’ has a deep historical root, traced back to the Mesolithic time (about 10, 000 years ago). Yet the richest treasures of early Indian paintings are found on the walls of Ajanta caves in Western India. From Ajanta, the ideas in paintings were spread across the length and breadth of the country for centuries bringing several new elements and synthesis of various ideas (miniature, realism, etc.). After centuries of experimentation, today the heritage of Indian painting stands distinctively unique in the arena of global painting tradition. One aspect of Indian paintings, especially the folk paintings that has remained consistent is its strong ritual association. There exists an age-old painting tradition called PATACHITRA in Puri, the coastal town of Orissa. 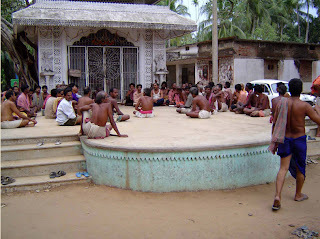 PATACHITRAS are executed by a traditional caste called CHITRAKARA. Life in Puri revolves around the temple of Lord Jagannath. Celebration of festivals is the mark of this town through out the year. One such festival is the DEVASNANA PURNIMA, in which the CHITRAKARAS are deeply involved. On this occasion, the images of the Gods are brought out in a procession to the bathing platform, located outside the temple, where a ceremonial bath is given to the deities by pouring water on their images. The images are than brought back inside the temple. Then after, the deities fall sick and kept away from public view for fifteen days. This period is called ANASARA or ANAVASARA. During these days, there is a need for substitute images for the public view and to which prayers and rituals could be offered. A CHITRAKARA paints the substitute icons, called ANASARA PATI. The preparation for the making of ANASARA PATI starts on the occasion of Akshyaya Tritiya. On this day, a CHITRAKARA receives a piece of cloth to prepare canvas from the temple administration. When he completes the painting, the family priest comes to his house to perform a puja of the PATI in the presence of all his family members. A day after this puja, a priest from the Jagannath temple comes to his house with a garland and accompanied by persons carrying ghanta (gong), chalti (ritual umbrella) and kahali (pipe). Another puja is performed at his house and after the puja is over the ANASARA PATI is rolled and tied with a piece of black cloth. The PATI is then carried to the Jagannath temple by the CHITRAKARA in a ceremonial procession. The tradition of ANASARA PATI goes back to the time of King Anangabhima Deva, who ruled Orissa between 1190 and 1198 AD. This is evident in the chronicle of Jagannath temple – the Madala Panji. Besides Devasnana Purnima, the CHITRAKARAS are occupied with other festivals in Puri, the most famous being the Rath Yatra. When there are no festivals they are engaged in paintings on the walls of various temples and mathas, besides houses of some affluent families, to earn their livelihood. 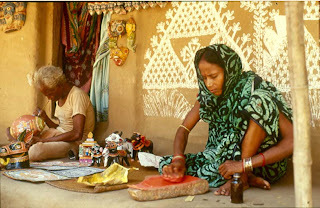 Traditionally CHITRAKARAS were being paid by kind for their services, but now they earn their living mostly through selling their paintings. For hundreds of years, pilgrims from all over India are visiting the holy town of Puri. These pilgrims have also been patrons of the CHITRAKARAS. Collecting a memento from the place of pilgrimage has been a practice in India from the ancient times. In Puri, there is a belief that a pilgrimage to the town is incomplete unless the pilgrim takes back with him/her five PATAS of Jagannath, five beads, five cane sticks and nirmalya (dried rice from the temple kitchen). In Bengal, it is the custom of every pilgrim returning from Puri, to send one of these pictures and a few grains of the dried cooked rice, Mahaprasada, to his/her friends and relatives. Throughout the history of pilgrimage, the CHITRAKARAS used to make JATRI PATIS to suit every pocket. Cheaper ones were done on primed newspaper with crude workmanship. 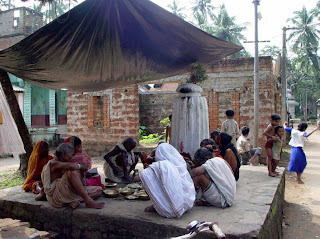 However, the more expensive PATAS used to have a plan of the Jagannath temple showing not only the triad in a shrine, but also other gods and goddesses, festivals of the temples and animals like elephant, horse and deer..
CHITRAKARA is an outcaste community in the Hindu Varna order. However, in Vedic times, the community had enjoyed respectable position in the society. 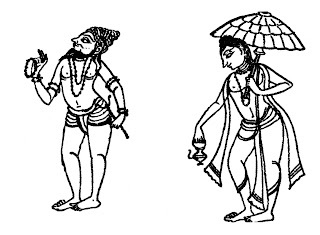 In the later time as a scripture narrates, how Visvakarma, the celestial artificer had a connection with a Sudra woman and therefore how the artisan castes become outcastes. According to yet another scripture, a Brahmin had further cursed the CHITRAKARAS. This was because, a CHITRAKARA had transgressed the Brahmin’s order in respect of a picture, the composition of which was defective and not according to the rules. After the independence of India in 1947, with the establishment of the constitution, the Government of India abolished untouchability and the Untouchability (Offences) Act was passed in 1955. The CHITRAKARAS over a period of time also have greatly been benefited from this Act. In the last hundred and fifty years, there has been dramatic rise and fall in the life of CHITRAKARAS. In the 19th century, the CHITRAKARAS had to depend mainly on the middleman to sell their paintings. Ananda Mohanty was the chief middleman buyer of JATRI PATIS from the CHITRAKARAS. From time to time, he would go to Raghurajpur, the main centre of PATACHITRA art, with a cartload of paddy and rice and collect paintings in exchange. Those in urgent need of grains would sell their paintings to him at a very cheap price. He would also give a loan when a CHITRAKARA was in need, against a bond to supply so many hundred paintings. Ananda Mohanty had started his business sometime towards the end of 19th century and within few years had become very rich owning several shops and buildings in Puri, and addressed as Mahajan Ananda Charan Mohanty. Due to his exploitation the CHITRAKARAS had become poorer. At that time a social worker called Michhu Misra suggested CHITRAKARAS to start a cooperative for selling JATRI PATIS. When the CHITRAKARAS were busy organising a cooperative, Ananda Mohanty got in touch with painters in Calcutta to find out if they could print Jagannath in colour. Ananda Mohanty also gave cash advances to CHITRAKARAS for the supply of heavy orders of JATRI PATIS. The CHITRAKARAS did not have such large stocks of JATRI PATIS with them for the immediate supply. They wrote out notes stating that they owed so many hundreds to Mohanty. Finally, CHITRAKARAS had to forget about the cooperative and got busy fighting the cases against Ananda Mohanty. In due time, CHITRAKARAS had lost their source of livelihood and their homesteads to Ananda Mohanty. They had to look for other employment. Many of them became wage earners in betel-leaf gardens, carrying water and head loads of soil. Some became masons and others agricultural labourers. A few joined Mohan Goswamy’s opera party. It took more than a generation to revive their art with the help of an American lady called Helena. Helena was the wife of Philip Zealey, the director of an American Social Service team that worked in Orissa between 1952 and 54. Helena, while learning Oriya in Puri, had been introduced to two families of Pathurias (stone carvers). She was so impressed with their work that she often visited their house to watch them working. At that time Panu Maharana, a CHITRAKARA was trying to eke out a living by selling a few paintings to pilgrims and tourists on the Puri sea beach. One day Halina saw Panu peddling his paintings on the beach. She called him inside her bungalow, and was astonished to see yet another facet of Orissan art, the PATA PAINTING. From then on, she established a strong bonding with Panu and his family through inviting them to her house and buying paintings every month. Helena took her friends to the CHITRAKARA’S house. Slowly, when the CHITRAKARAS realised the awakened interest in their work, the new painting they made became more and more interesting with finer quality and execution. This was the re-birth of the revived PURI PAINTING. 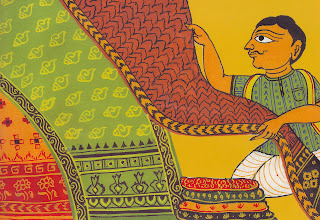 The word PATACHITRA is derived from the word PATA, which in Oriya means cloth, picture and also a painting on a cloth. How a PATACHITRA is made? On the cemented floor of a CHITRAKARA’S house, at first, a piece of washed cotton cloth is spread to cover the entire floor. The cloth is then applied with a coat of gum made out of tamarind seeds. Another layer of cloth is thereafter placed on it and a second layer of gum is applied. The cloths are then allowed to dry under sunlight. In the next stage, the dried cloths are applied with a glutinous substance – a mixture of soft white stone powder and tamarind gum. Again the cloths are left for drying. After the canvas is dry, it is cut into requiring sizes. These pieces are then polished using a small piece of coarse stone. A second burnishing is done by using a smooth pebble. In the next step, the side on which the painting would be done is given another polish with a smooth pebble. The canvas now looks off-white grey and is ready for painting. Earlier, the CHITRAKARAS mostly used colour pigments obtained from minerals and a few from vegetable extracts such as indigo. Different shades were obtained by admixture of primary colours. Now days, CHITRAKARAS are using synthetic colours, but natural segments are still in use especially in case of paintings connected with religious rituals. White – Conch shells are the main source of white pigment, which are bought from the fishermen. The shells are first ground into powder, and then made into fine paste by adding water and using a pestle. The paste is diluted with water, allowed to settle and poured out slowly into another pot. This is done for several times. Once the powder is finely ground and absorbed in water, it is boiled. The mixture is stirred all the time so that the powder does not settle at the bottom. When the boiled paste is dry, it is ready for use. Yellow – The yellow pigment is extracted from a mineral – Orpiment (Arsenic sulphide). The mineral is ground into fine powder and then made into a thick paste by adding a little water and mixing with mortal and pestle. Glue is than added to the thick paste and made into small tablets and dried. Red – CHITRAKARAS use hingula (crude cinnabar) for blood red. Cinnabar is available in mineral stone form and when pulverised yields a bright red. It is made into a paste and then into tablets. CHITRAKARAS also use Geru (red ochre) stone, which at first is finely ground, mixed with water and then allowed to settle. The water containing the pigment is boiled till it becomes a thick paste and then made into tablets after adding glue. Black – Black pigment is obtained by CHITRAKARAS from lamp black. A wick lamp is lit with polanga, a kind of oil and above it is placed a brass plate filled with water. After thirty minutes of burning, the soot gathered on the back of the plate is scraped off and glue is added. Blue – Blue is obtained from indigo, which is sold in tablet form. This is pulverised by adding drops of water. Besides the primary colours, CHITRAKARAS use other colours also in their paintings; these colours are obtained by blending primary colours together. Like colours, the brushes used by CHITRAKARAS are equally fascinating. Brush, also called lekhani, is of three types – stuhala (broad), madhya (medium) and sukshma (fine). Hair is to be collected from the ears of a calf for the broad brush, from under the belly of a goat for a medium brush and from the tail of a muskrat for a fine brush. The CHITRAKARAS of Orissa uses buffalo hair to make brushes to draw thick lines and rat or squirrel hair to make brushes for finer work. Now days however the CHITRAKARAS are using synthetic brushes, which they buy from the market. Demarcation of Boarder – The CHITRAKARAS after choosing the required sized PATA demarcate the space to be left out on the four sides for boarders, by drawing lines with a pencil. When two boarders are planned (to make the paintings more attractive or simply to use more space) two parallel lines are drawn. Sketching – This is done by a fine brush with thinly diluted white colour. In elaborate complex pictures, senior experienced artists usually do sketching. The CHITRAKARA, before approaching the blank canvas, roughs out the design mostly by blocking the figures and their relationship. In sketching, the pose is important as the juxtaposition of the figures, since this would finally represent the feelings of the figures. The head is drawn first as a circle with the suggestion of a chin. Followed by the head, a torso is added and finally the legs. Red Colouring – Whatever spaces are left outside the sketches of the figure are now filled with flat red colour as the background. Colouring – The body colours are painted next. Certain conventions are followed while applying colours to different deities. Putting on Dress – The garment colour of different deities is then laid down and painted. Colouring the Ornaments – This includes the application of appropriate colours to the headdress, ornaments on the hair, face, ears, nose, neck, arms, waist and legs, and also the weapons and attributes of the different gods and goddess. Thick Black Lines – Portions, which are to be coloured black, e.g., the hair, are now painted, as also the borders of garments, architecture, etc., where thick black lines are to be applied. Thin Black Lines – This is the most important stage, requiring delicate workmanship, as outlines are now given among all different colour application. With fine black lines, the CHITRAKARAS outline the face, the body and the dress and ornaments. Eyes are painted and the dresses are given borders and designs. All other areas needing fine black lines are gone over. It is at this stage the paintings come to life – the figures get their final outlines and expression and the colours become decorative. White Touches – This is the final stage of painting, before the borders are decorated. Space still remaining black in the monochrome background is filled up with floral motif. Fine white lines are also drawn on the forehead and neck of figures. Yellow – Matshya, Kuruma, Parasuram and Buddha incarnations; Radha, Sita, Laxman and Brahma; maids and other females are also painted in yellow. The PATACHITRAS follow the convention of having human figures in frontal position for the body, with the legs and face in profile. The sages are represented as lustrous, but weak and emaciated, with matted hair and the deer skin as their only clothing. Brahmanas are shown as full of splendours and wearing white garments. Ministers, astrologers and royal priests are also adorned fully and in a gaudy fashion, but they are shown wearing turbans, and not crowns. Daitas and danavas (demons) are of a terrible aspect, i.e., fearful face with globular eyes, frowning eyebrows and with gaudy apparel. 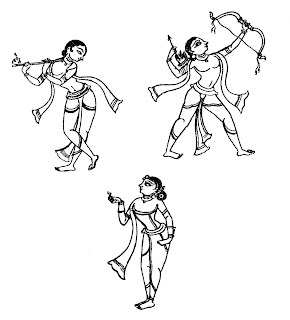 Three bends (tribhangi) is the most popular sculpture pose among the Hindu sculptures, especially dancing sculptures of Orissan temples. In this pose, one leg is shown bent, a curvature at the waist and the inclination of the head to one side. 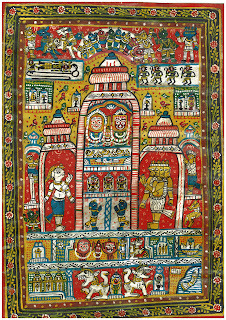 Tribhangi is a familier pose in PATA PAINTINGS. 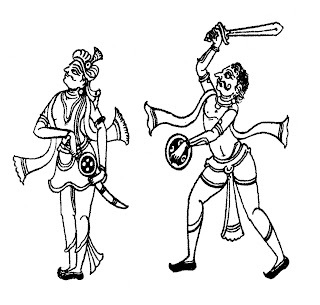 Among the other standing postures in PATA PAINTING, the Virabhangi (heroic posture) is the common one in which the figure is shown with the chest thrown forward. This is adopted for Hanuman, demons, wrestles, kings in war time and other figures in the heroic mould. Lalitabhangi (delicate posture) is used for all females, and also for Vaman avatara. 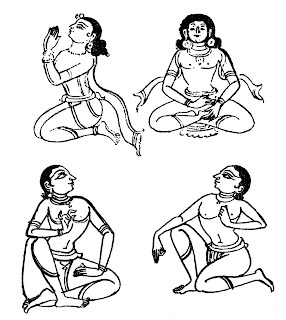 Natajuna (kneeling) – Persons worshipping or accepting benediction are shown in this posture – Vibhishana and milkmaid Manika are often represented in this posture. Padmasana (lotus posture) – In this posture, the figure sits upright with the legs crossed over the thighs. Buddha, Shiva and Rishies in meditation are painted in this posture, as also Narayana, Seshadeva and Bhubaneswari in the three ANASARA PATI. Parsa bhangi is a posture in which both legs are folded at the knee, one knee touching the ground and the other upright. Kneeling, with one leg put forward – This is drawn in profile and is the usual posture for Hanuman. Sitting flat on the feet with the legs drawn together – Yasoda consoling the child Krishna is portrayed in this posture. Sitting on a throne – This is a frontal view, one leg draggling and the other leg placed on the thigh. Kneeling on all fours is known anthua posture – Gopala (kneeling Krishna) is shown in this posture while stealing butter. All faces in PATACHITRAS have long beak-like noses, prominent chins and elongated eyes. In the female face, the nose is drawn as a flowing line from the forehead whereas in the male face, there is a dip between the lower forehead and the nose. In the female face, the eyes are larger extending almost to the ears, the chin is more rounded, and the hair is solid black. Beards and moustaches are given to the faces of Rishis, asuras, sarathies, Jaya-Vijaya and kings. The beard is usually pointed and forms three crescent shaped steps at the edge of the cheek. The moustache of kings is shown long and curling up, that of asuras in loops and those of commoners pointing straight. Four types of crowns are portrayed named after the shape of crest: banka-chulia (tilted plume) for Krishna, topi-kirti, a royal crown, for kings and gods like Indra and Vishnu, ambakashia (tender mango) with the crest shaped like a mango, for queens and pana patri (betel leaf), a heart shaped crest for Kali, Bhairavi, Tara and other goddesses. Female figures are drapped with sari whereas in the male figures, the torso is left bare except for an uttariya, a long scarf, which goes behind the neck and comes over shoulders to full down to thighs. The sari has floral or geometric designs and kanchula (blouse) in a different colour covering the breasts. Representation of sea or river are painted blue with wavy lines in white, and fish, crabs and shrimp are shown in the water. Mountains are painted on a series of piled up arches in grey colour. Trees are painted slender and willowy, and each leaf and flower is separately drawn. Since the background is mostly red or ochre, the trees are often depicted in grey. Trees are drawn mainly to fill blank spaces, unless the theme specifically demands it as in vastra-harana, when Krishna has to be seated on a tree with the cloths of gopies on the branches. The CHITRAKARA has a limited repertoire of birds and animals. Ducks and cranes are shown on water, parrots and peacocks on trees. Parrots looking backwards are drawn near the pinnacle of temples, and two peacocks are drawn on the two sides of an archway. When there is a circular design within a square, four lion heads are drawn to fill up the irregular spaces at the corners. Lions are also drawn to signify the lion gate of a temple. Deer are associated with the groves of Vrindavan, horses and elephants with other animals like the buffalo or the mouse are portrayed along with the gods. Some of the popular themes found in PATACHITRAS are the Vesas (costumes) of Jagannath, Kanchi-Kaveri expedition of King Purssotama Deva, Dasavatra (ten incarnations of Lord Vishnu), Krishna lila, Rasa pictures and themes from Ramayana and Mahabharata. Each of these themes has deep rooted mythological stories that abound in the social and religious life of coastal Orissa. In recent years, however there is trend of secular motifs in PATACHITRA art. Besides, due to a state government and INTACH initiative, the mural tradition in the style of PATACHITRA art has been revived in the walls of Raghurajpur. The report is in the context of one of India’s most celebrated couple offering a chaddar at a shrine to aspire a child. Offering of chaddar and cloths are common practices across India. However, offering wooden replicas of human legs is not a common one. When we visited Nagwada, a small village in Gujarat’s Surendranagar district we came across a small shrine with full of wooden replicas of human legs. Nagwada, on the edge of Little Ran of Kutch is a small village. 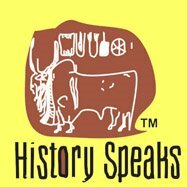 Nearly five thousand years before it was a prosperous settlement belonging to the Indus Valley Civilisation. Kalini, my wife and I had gone to this village for collecting a few Harappan remains (pottery), which we intended to show children learning history. Before we head for Nagwada, we had a brief stay at Ganantar, a NGO working in the area of education, to find out details about the village. Dina bhai (name changed), an employ of Ganantar and resident of Nagwada, offered his help to show us the Nagwada ruins. The shrine located in the edge of the village is a small one enshrining the village goddess. In the outer premises of the shrine we were astonished to see hundreds of wooden human legs. Dina bhai revealed an interesting story. Years back a man of Nagwada had fractured his legs. There was no medical facility. He prayed to the goddess for his cure. In the night the goddess appeared in dreams and asked to offer a wooden replica of human leg. Next morning the man asked the village carpenter to make replica of a human leg for him. He offered it and was cured next moment. From that time onwards, people having fractured legs have been offering wooden legs to the deity. We don’t how many have been really cured though this simple belief.